Rhyme’s team is working at top speed to locate The Skin Collector and stop the killing. The Skin Collector is a tricky individual and really had me fooled. I was down to the last page before I realized what the tatoo artist was really after. 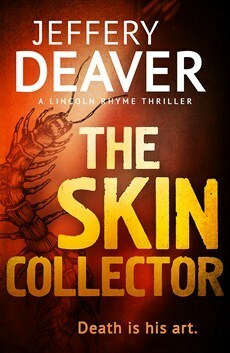 I have enjoyed all Deaver’s Lincoln Rhyme books but I think this one tops the list. I totally enjoy reading about Rhyme’s staff and their loyalty. For several reasons, I’ve had an almost life-long interest in organization and time management. Thus, two published novels about a personal organizer, and work on a third. Of course, this interest bled over into my writing life. It’s a fact: you can save a lot of time by becoming better at what you do. In general, I believe this applies as much to writing as to most other things. Think about it—you’ve probably spent a few years writing a shopping list, no? Aren’t you a bit faster than you were when you wrote your very first one? I bet so. I’ll give you some examples for writing other, more complicated things than shopping lists, such as stories. When I first joined a writer’s group after writing a full-length novel and a few short stories, they quickly pointed out three ways I could improve. One was no head-hopping in scenes—stay in point of view. Next up was learn to use active voice instead of passive voice. I began searching for “wases” like crazy. And third, search and destroy most (some say all) modifiers. If I hadn’t joined the group, who knows how long I would have gone on making those same mistakes? I have also read quite a few books about writing and the writing life. I can’t list all the things I’ve learned from them, but I know it’s stored in my brain and peeks out to help me when needed lots of times. Reading other’s people work, both fiction and nonfiction (since I write both). How does he do such great descriptions? How does she make her points so succinctly? Things like that. Then there’s the actual writing. This is the best way to learn, of course. Almost everyone will get better as they write. I hope I’m better after having written probably around a million words than I was when I first put pencil to paper. How to write on a schedule. Seat in chair, brain on fire. Same time every day works best for me, and for lots of other writers I know. How to write to length. Tell me to write a 50-word story, and I can do it almost at once, give or take a word or two. Then I can fix it so I hit it exactly. Tell me you want between 2,000 and 5,000 words, I can hit that even better, without going under or over. Give me a novel length, again, I can hit it. This did not happen in the beginning. It took a while, and an awareness of word counts. It probably helped that I wrote a lot of short stories—for a few years I was writing one or two a month of different lengths. How to handle different aspects of writing—do better descriptions, for example. I still don’t think I’m great with descriptions, but I have learned a few tricks to make it easier for me to write them. You may have a different weakness that with time and effort will lessen. Bottom line? You get better and faster the more you write. So, to save time later on, write a lot now. The more you write every day, the quicker you’ll improve. Jan Christensen grew up in New Jersey and now resides in Texas. Organized to Death is her third published novel. She’s had over fifty short stories appear in various places over the last dozen years, two of which were nominated for a Derringer Award. Nora and Brendan Hamilton live in an old farmhouse nestled in the Adirondack Mountains of New York. Nora wakes up one wintry morning to find that her world has been turned upside down. Nora’s husband Brendon is a police officer in love with his wife, his job and his hometown. However, this wintry morning Nora discovers that her husband has committed suicide. He has not left a note or anything to indicate why he would take his own life. As Nora attempts to find out the reason for her husband’s suicide, she finds every door is closed. No one will give her answers. Nora has never felt completely accepted by her husband’s family and friends and she has no one to turn to in her search for answers. Every stone she uncovers only leads to more questions. This intriguing book leaves the reader quickly turning pages and looking for answers. 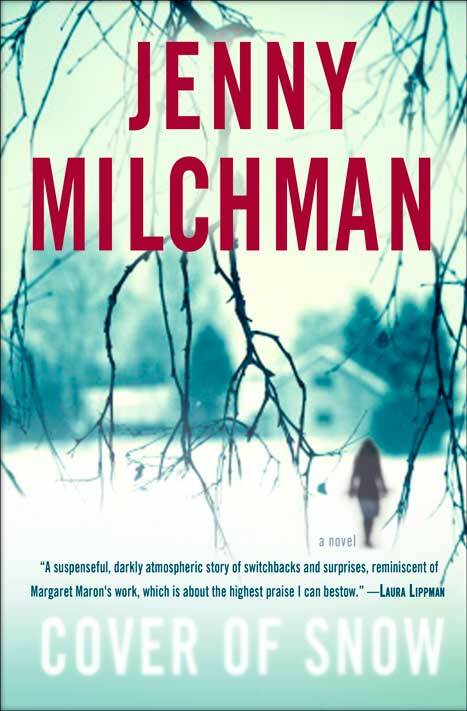 This is Milchman’s debut novel and the winner of the Mary Higgins Clark Award. I hope to read many more novels by this author. 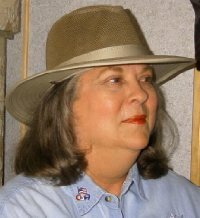 Michele May, whose pen name is M. E. May, was born in Indianapolis, Indiana, and lived in central Indiana until she met her husband, Paul, and moved to Lake in the Hills, Illinois, in 2003. She studied Social and Behavioral Sciences at Indiana University, where she learned how the mind and social circumstances influence behavior. While at the university, she also discovered her talent for writing. Michele is an active member of Mystery Writers of America Midwest Chapter, Sisters in Crime Chicagoland, Speed City Sisters in Crime in Indianapolis, and the Chicago Writers Association and its affiliate InPrint. Her Circle City Mystery Series is appropriately named as these stories take place in her home town of Indianapolis. The first novel in the series, Perfidy, won the 2013 Lovey Award for Best First Novel, and the second novel in the series, Inconspicuous, was nominated for the 2014 Best Suspense Novel. Book three, Ensconced, was released in March 2014. Michele: I’ve been writing in some capacity since I was ten. Most of my early writing was for school creative writing assignments, and in diaries and journals. As an administrative assistant, I had the opportunity to draft business letters, memos and emails, and write procedures. Even though a lot of my early experience in writing was non-fiction and business, I always knew I had a fiction novel in me. In 2008, my wonderful husband and I talked about my desire to “buckle down” so I quit my full time job and started writing my first “baby,” Perfidy. PJ: That’s great! At what point did you reach a place where you felt successful as a writer? 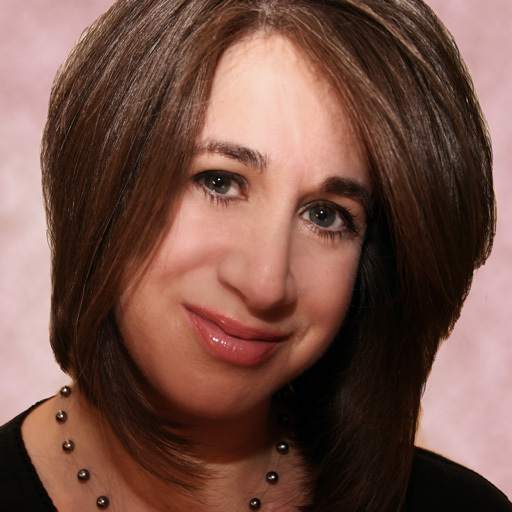 Michele: It felt really good to finish that first manuscript and have someone offer me a publishing contract. However, the moment I truly felt successful was when readers started telling me how much they loved Perfidy, especially when I got reviews from strangers. My biggest goal was to write a great story that people would enjoy. Michele: Writing isn’t the hard part, it’s what I had to do to be published and to brand myself. Sending letters and manuscripts to publishers and agents is much more complex than I thought. There’s no standard that goes across the board. Each publisher/agent wants a writer’s submission to be done their way. Then once I was published, the amount of self-marketing I have to do, the social media in which I must be involved, and the record keeping was overwhelming. Sometimes I’m scrambling for enough time to write. Michele: I’m pretty realistic when it comes to expectations. After I completed my first draft of Perfidy, I took a part-time job in order to finance my new profession, because I knew it would take at least three books to get out of the red. As in any small business venture, whether knitting baby blankets or writing books, one has to realize that the first and second years won’t likely see a profit. There are many expenses connected to starting a venture such as this. Once the book comes out, there are marketing expenses such as advertising, bookmarks, postcards, conferences, and travel. Most authors I know have told me not to give up my day job. It’s very rare to see someone become wealthy as an author. PJ: Early on, so much focus is given to being published. Now that you’re published, how has your focus changed? Michele: As I mentioned before, once the book is released then the marketing begins. It’s been difficult at times to balance a schedule for marketing and writing. I finally decided to hire a publicist to assist me with my branding. It’s also a fact that readers expect to see us on Facebook, Twitter, and other social media sites. In addition, every author is expected to have a website and/or to blog. I know I have to give these marketing opportunities my attention, but I also have to find a balance so I can produce the quality novels my readers expect from me. Michele: Actually, it was a relatively short time. I had my completed, unedited manuscript ready by December 2009 and in February 2010; I attended a mystery writer’s conference where I met the publisher who offered me a contract for Perfidy. However, when I listen to other authors speak about how long it took for them; I find most people wait 5-10 years before they find a publisher. I was very lucky to have an offer so quickly. Michele: I wish I’d had an intellectual properties attorney go over my contract and negotiate it for me. I cannot express enough the importance of having an intellectual properties attorney read a contract and explain the details to you. Michele: I’ll confess right now that I haven’t done as well as I’d like to be doing. I’m not the only author that feels this way. I’ve heard many complaints about how promotion takes away from their writing time. It’s especially difficult for those who have a “day job.” As I said previously, I finally took the plunge and hired a publicist and just that action took a big load off my shoulders. I try to take at least one day of my weekend and devote it to writing, which helps a great deal. PJ: What’s the single most exciting thing that’s happened to you as a writer? Michele: I would have to say it was the night I won the 2013 Lovey Award for the Best First Novel at the Love is Murder Mystery Writers Conference in Chicago. To have my peers and readers vote for me and give me this distinction for Perfidy, was such a thrill and an honor. Michele: The book launch for my first novel was pretty dismal for various reasons, chief of which were several broken promises of advertising and press releases that didn’t happen. However, I made the best of it and had a great time with those who came. I guess the lesson there is to follow up. My other two launches went very well. PJ: With more books being released each month now more than ever before, what do you believe sets your work apart from the others? Michele: There was reader who reviewed Inconspicuous on Amazon (Kindle) who said, “Her writing style is a cross between Alfred Hitchcock, the master of suspense, and Agatha Christie, an observer of small details who peppers her novels with clues for readers to pick through and try to solve the mystery.” What a fabulous compliment. I think my style and the fact that my main character is the police department make it more interesting. I bring a different police officer or family member of an officer to the forefront in each novel. I’m hoping this will keep the series as fresh and fun for me to write as it does for my readers. I also think the fact that I’ve used Indianapolis, as my setting instead of the same huge metropolises other authors use is unique. The fact that I can take my hometown and show it to others through my eyes is a joy for me, which makes the writing easier. Michele: Don’t stop writing. I have a book entitled, The Virginia Woolf Writer’s Workshop: Seven Lessons to Inspire Great Writing by Danell Jones. In it, she has written about a workshop conducted by the great Virginia Woolf who states that we should write something every day, even if you write, “I don’t know what to write today.” It’s important to keep up your skills by taking courses in writing and going to workshops. And, most important, when you feel you are getting to the point of querying publishers or agents, have your book edited by a professional. This can make a big difference in whether or not someone will read more than a few lines of your book. Michele: Having the opportunity to get out and talk to readers. Every time I do a presentation, go to a conference, or bookstore, my sales go up. It seems that once readers hear the story of how I got started and hear a little bit about the books, they become anxious to read them. If one can convince people to read one book, they will come back for more. Michele: Getting all of those lovely people who’ve purchased the books who tell me they can’t wait for the next one to write a review. I know from my own experience as a reader that it’s sometimes difficult to find the time, especially when I read many books. In that respect, I can’t complain. However, I’ve become more diligent in doing reviews now that I’m an author and realize how important it is. Michele: There are two independent booksellers I’d like to mention. First, Read Between the Lynes Bookstore in Woodstock, Illinois, which is owned by Arlene Lynes. She carries a variety of genres and has been very supportive of local authors. 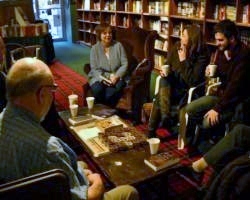 The second is Centuries and Sleuths Bookstore in Forest Park, Illinois owned by August Alesky. As the name implies he specializes in history and mystery. He not only supports authors in the Chicago area, but has opened his store to meetings for Mystery Writers of America and Sisters in Crime to support future authors as well. 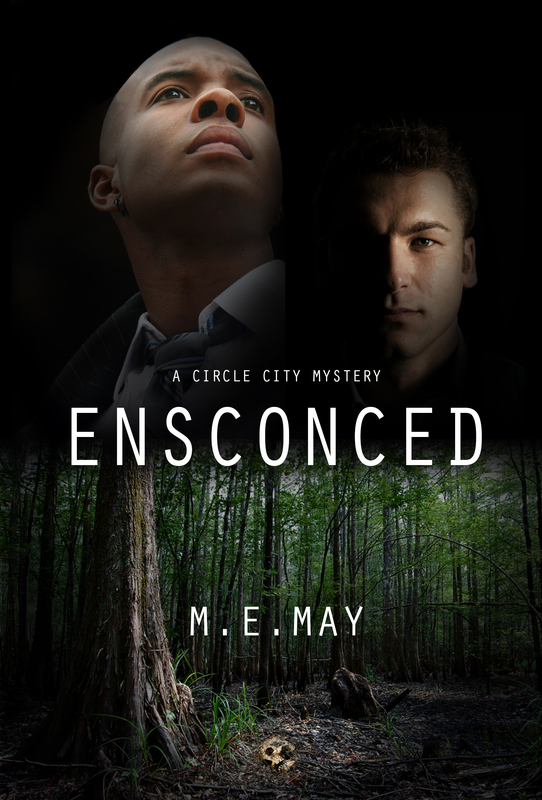 Michele: There are three novels in the Circle City Mystery Series; Perfidy, Inconspicuous, and Ensconced. One of my short stories, “Uncle Vito and the Cheerleader,” was published in an anthology entitled Hoosier Hoops and Hijinx, which was released in October 2013. In Ensconced, Missing Persons Detective, Tyrone Mayhew’s investigation into a cold case gives him insight into just how far people will go to protect someone they love. PJ: Where can be buy it? Michele: E-books can be purchased on Amazon.com. Books in print are available on Amazon, Barnes & Noble, and your favorite online bookstore. If you go to your favorite bookstore and they don’t have it, they can order it for you. Michele: I’ve known that the desire to write a novel was deep inside me for most of my life. However, in my younger years I pushed that desire away because I didn’t know where to start or have the confidence that anyone would want to publish my works. Then something so simple happened to me when my then eleven-year old grandson, Kodey, came to visit. He’d just received book six of the Harry Potter series. He said to me, “Nana, if you like the movies, you’ll really love the books.” I had allowed myself to get out of the habit of reading for several years at that point, but when he loaned me his Harry Potter books, I did fall in love with them. As I learned of J. K. Rowling’s struggle to publish this series, the desire for writing began to surface. I listened this time. If you have a desire to write, do it. It doesn’t matter if you can finish writing it in six months or six years, just keep going. If the desire doesn’t wane, then this is what you were meant to do.